Hello people! Chinese New Year is just around the corner and its time for us to prepare for it. 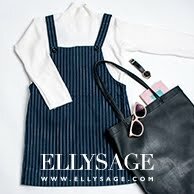 Apart from heading to the gym to look good in the beautiful dress we're all planning to wear, or going about the annual spring cleaning, we also have to mentality and physically prepare ourselves for the rather exhausting house visiting coming our way. Sure we're all going to finally come face to face with some distant relatives and friends. That's when first impression counts doesn't it? And who wouldn't want to look their best during this festive season? Thanks to Nexcare™, I am going to be fully armed with necessities to help me conquer any last minute setbacks. We're talking about acne that may randomly pop out the night before a huge family gathering or puffy eye-bags that could possibly form during the numerous nights staying up late playing mahjong. 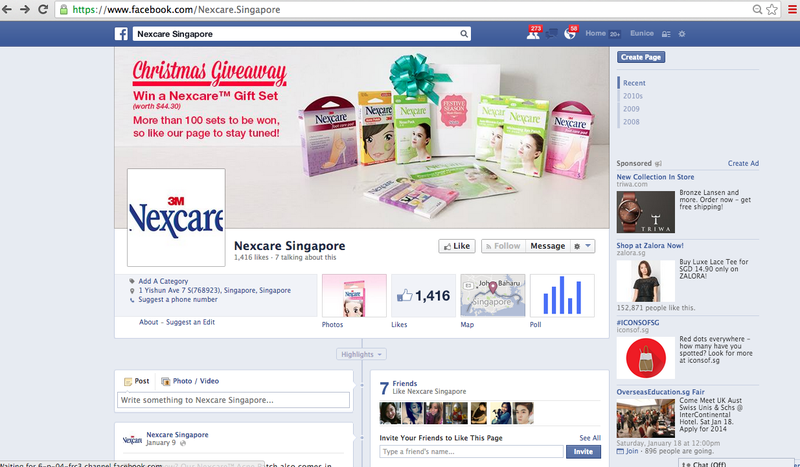 Here I have with me is the Nexcare™ gift pack which you could stand chance to win as well! Before I go on to the details of the contest, allow me to inform you of my favorite products in this gift pack that you might want to keep an eye out for! The moment I saw a pack of the Nexcare™ Acne Patch sitting in the gift box, I had a very strong nostalgic feeling. You see, I used to use them a lot back in secondary school. My friends and I then, would walk around with the patches on our faces and most of the time; nobody could tell it was even there! I remember that I loved how the patches act like a protective barrier against dirt and bacteria that could be found on my fingertips. So I knew that if I were to accidentally touch it, my acne is still pretty much safe and recovering fast. The patches work by absorbing oily secretion and pus with the 3M Tegasorb™ technology. It also stops my itchy fingers from picking at acne, reducing the risk of infection. At the end of school, I could see the patch filled with oil while my acne feels and looks smaller. It sure does "Clears Acne Spot-On Fast!" Good news ladies!! With the NEW Nexcare™ Thinner Acne Patch, you can now wear it out in the day without worrying about it getting noticed by people. It is 40% thinner then the usual patches and is ideal for wearing under make up! Eye-bags are one of things that many of us find inevitable to run away from. You can have flawless skin but with these extra baggage (no pun intended), you're still going to look haggard this Chinese New Year! But with Nexcare™ Whitening Eye Patch (worth $4.50), I can finally wake up to brighter looking eyes simply by leaving them on for about 20 minutes before I sleep the night before! These Nexcare™ Premium Skincare Range are produced specially to suit anyone with sensitive or problem skin. It doesn't contain alcohol and is made with 95% natural ingredients that soothes and purifies the skin. Wearing any of these patches the night before the big day would definitely aid in reducing appearance of puffy eye-bags, fine lines, wrinkles and blackheads. Therefore, you will be ensured with baby-like skin the next day!! Perfecto!! Okay, I'm going to be honest. I used to always stick on double-sided tape to pin down any loose straps from my dresses. Of course it'll work for the first few hours until someone goes "Omg Eunice, what is that on your skin?" It is embarrassing to be caught with wardrobe malfunctions and that's one of the last things you'd want to go through this festive season! However with Nexcare™ Non-Exposure Tapes, you can save yourself from it! I was very impressed with how strong the tapes were without being too sticky. They hold on strongly, even during perspiration and are suitable for sensitive skin, as they don’t cause any itchiness, therefore not irritating the skin! This is definitely a product that I'd recommend you guys to invest in. It'll be a lie to say that you don't get blisters or sore feet during Chinese New Year cause I suffer from them every year! All that walking from house to house really makes my feet upset. And I'm excited to try on these foot care pads as they aid in healing and provide cushioning to reduce discomfort. Very often, our legs and feet would feel tired and achy from standing and walking all day. This is due to poor blood circulation which can be cured with this Futuro™ Ultra-Sheer Pantyhose! Due to the graduated compression from these pantyhose, blood circulation will be improved hence energizing the entire leg! I gave this pair to my mom since she stands and walks a lot for long hours. I hope it will help her relieve symptoms of swelling and mild varicose veins. Best part of it all, is that the material is ultra-sheer, hence being suitable for the humid weather in Singapore! Now here's how you can also stand a chance to win a gift set too! Comment on my Nexcare post on Nexcare Facebook with 'I ♥ Nexcare’ and state your favorite product out of the lot. Winners will be announced 27th Jan! Good luck and I hope that you'll be able to enjoy this festive season a little better with the aid of these Nexcare™ Products! All products are also available at Guardian, Watsons and selected SaSa outlets. Check out nexcare.com.sg for more information. I ♥ Nexcare! My favourite product is the non exposure tape! Comes in handy when I've to wear dress with straps/tubes! It can be really irritating if the dress w straps kept on dropping!